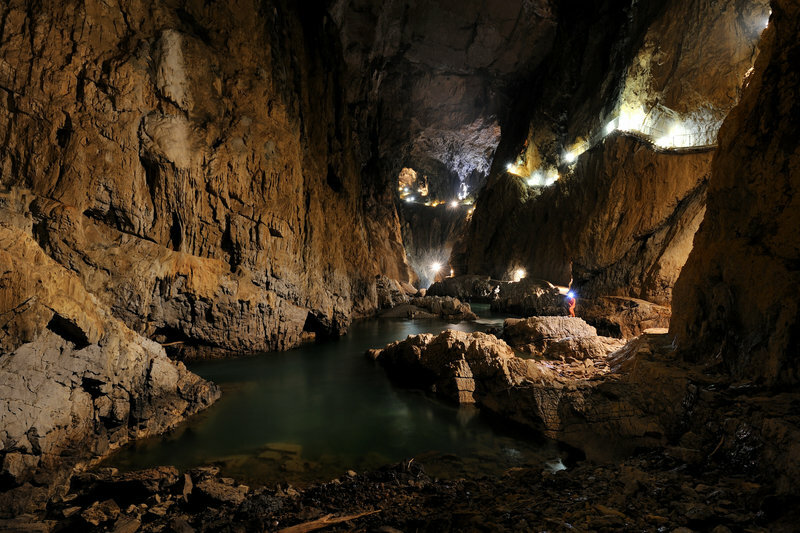 Slovenia is a land of many caves, some more famous than others, but the Škocjan Caves fall squarely on the famous list, and rightly so. 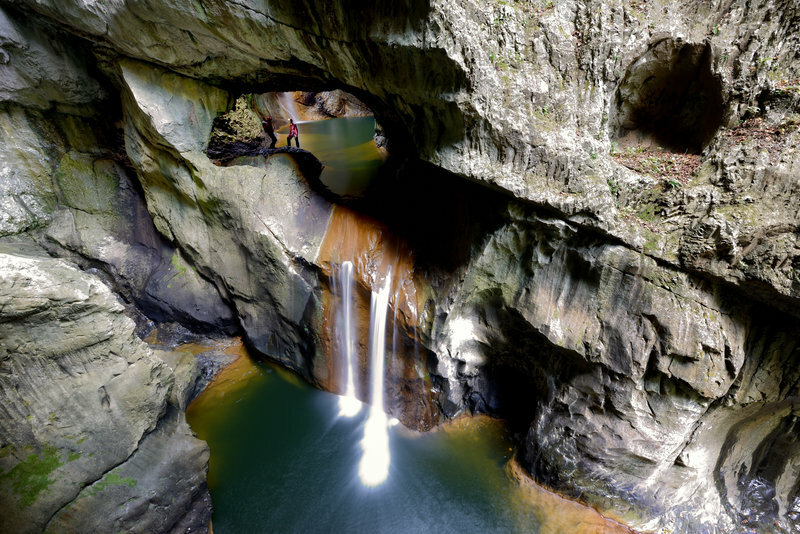 Entered on UNESCO’s list of world heritage sights in 1986, this cave system is a treasure trove of natural wonders. 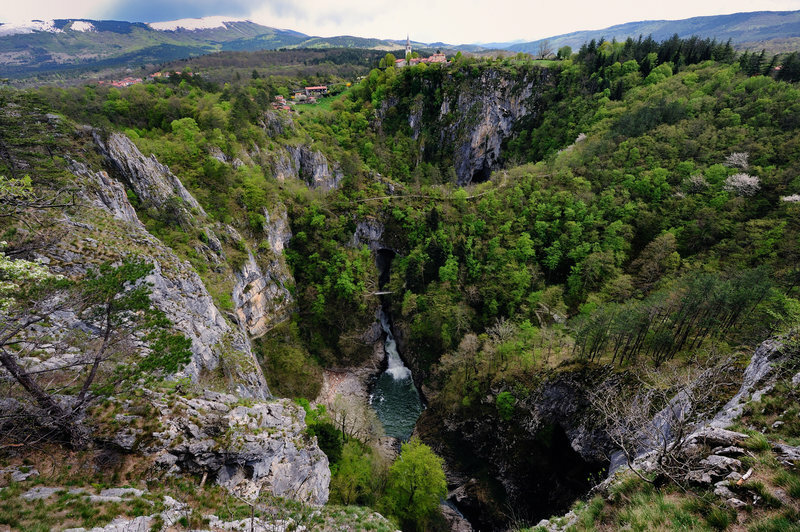 The significance of the Škocjan Caves reaches to prehistoric times, as there are traces of people living there as long as 5000 years ago. This combined with the wonderful flora and fauna found in and around the Caves makes them all the more appealing. The area surrounding the Caves is almost as important as they are, and the trek from the Caves’ exit back to the top is always a wonderful experience. But all this beauty somewhat fades in comparison to the Škocjan Caves themselves. Entering them means voyaging into a foreign world of unparalleled marvel, into something completely different, something akin to magic. The walk through doesn’t take very long, and it’s never boring, as you climb steep steps and traverse narrow passages, minding your step on the slippery ground and never ceasing to gape at the wonders the Caves hold. And what wonders they are! Each bend of the Caves is a bit of a revelation in and of itself, with unique dripstone formations lining the ground, every one of them appearing to telling its own story. In my mind, these formations become small choirs when they are closer together, the pillars become dense cages holding creatures beyond my imagination, and the cave curtains become the stone wings of dragons trapped in the walls. 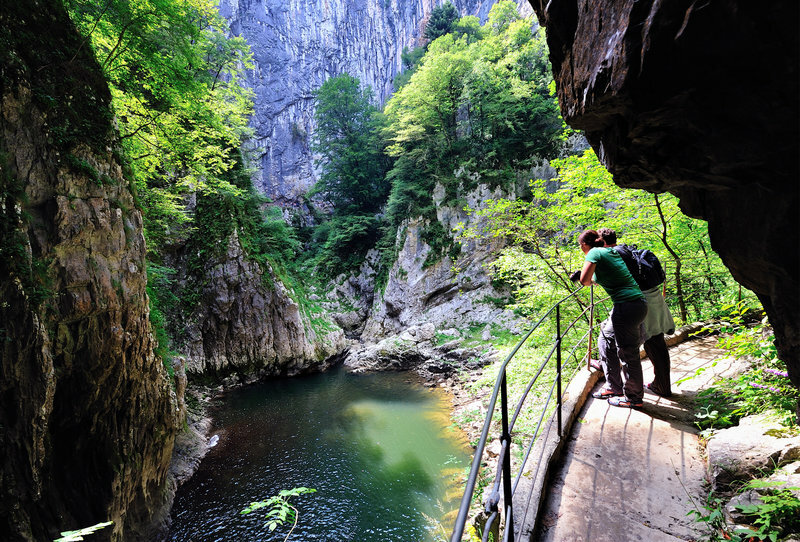 Walking the passageways of the Škocjan Caves is an adventure, seemingly just about ready to begin. These passageways sooner or later open up into bigger halls, most of which can rightfully be likened to palatial rooms. One hall in particular is very memorable, as the acoustics in it are amazing, and visitors are often invited to whistle or sing to hear their own voices reverberating back to them. 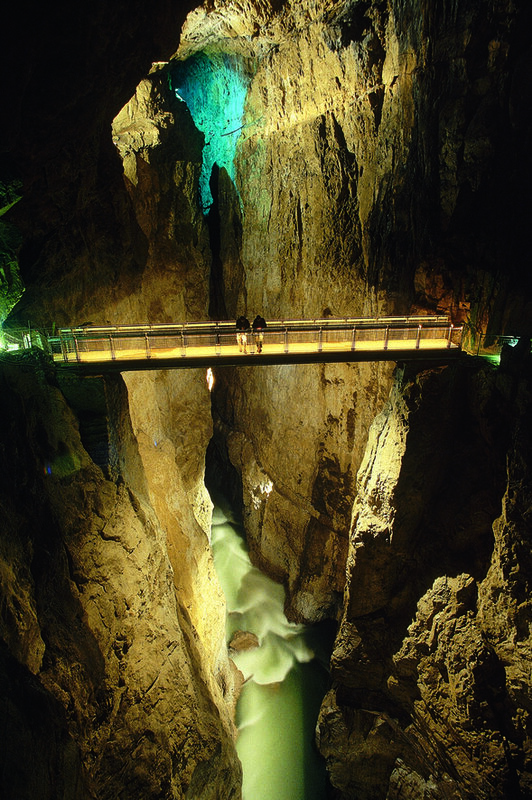 Of course, the main attraction of the Škocjan Caves is the immense underground canyon of the Reka river which flows through the Caves. This is where the sense of adventure kicks back in, as you cross the bridge suspended 50 metres above the river. The view of the canyon from the bridge is stunning in its oddity, as you wonder how something so vast and so beautiful can exist beneath our feet, as unaware of us as we are of it. And if you look downwards, to the river, be mindful, as you might find the abyss gazing back into you. It is no stretch of the imagination at all to think that you might hear the distant sound of battle drums coming from the bottom of the canyon, or that you might catch a glimpse of otherworldly creatures hiding in the crevices of the cave walls. Perhaps a bigger stretch, but it doesn’t seem completely implausible that a Tolkien-penned battle might erupt from the abyss beneath you as you stand on that bridge or that a Greek demigod might run past you on his way to barter with the rulers of Hades. 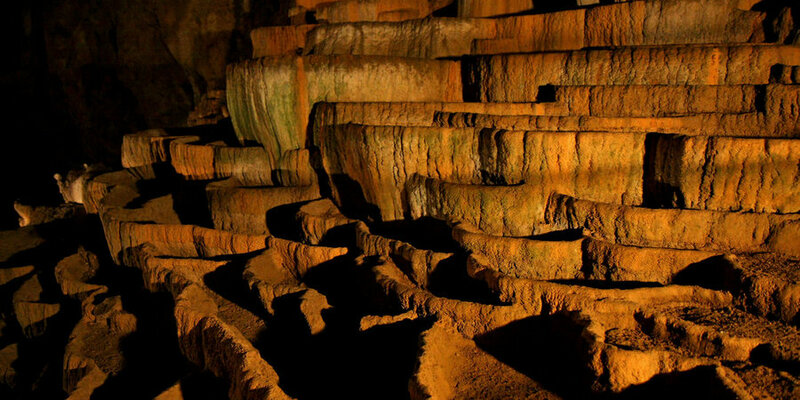 This is the magic of the Škocjan Caves, of this other, foreign, yet somehow still familiar world, existing underground. After the bridge, the walk continues, more and more steps taking you upwards to the exit. If you look back, you may see the dimly lit pathway behind you become enveloped in darkness as the lights go out, and feel the thrill of that imaginary adventure again. Then look forward, to the light of day, to the exit which brings the end of your walk through one of the most wonderful caves in Slovenia. So take from that what you will. 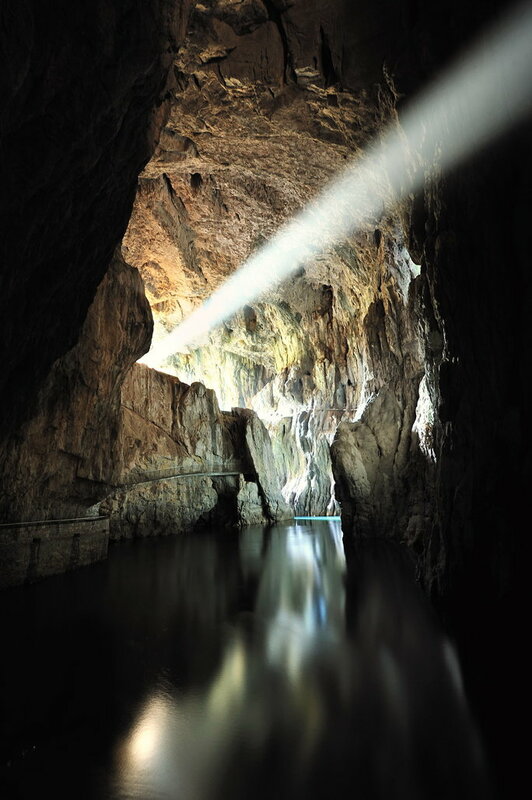 For me, the Škocjan Caves are magical, and a deeply immersive experience. They are a Slovenian treasure, not only for their natural and historical value, but also because they are a source of inspiration and food for the imagination. Tagged cave, geology, Karst region, river, UNESCO. Bookmark the permalink. I was there many years ago, but these pictures bring back memories of this truly awesome site. I was there many years ago, but these pictures brought back memories of this truly awesome site.